A couple of months ago, my Aussie friend came over with lunch from Whole Foods. 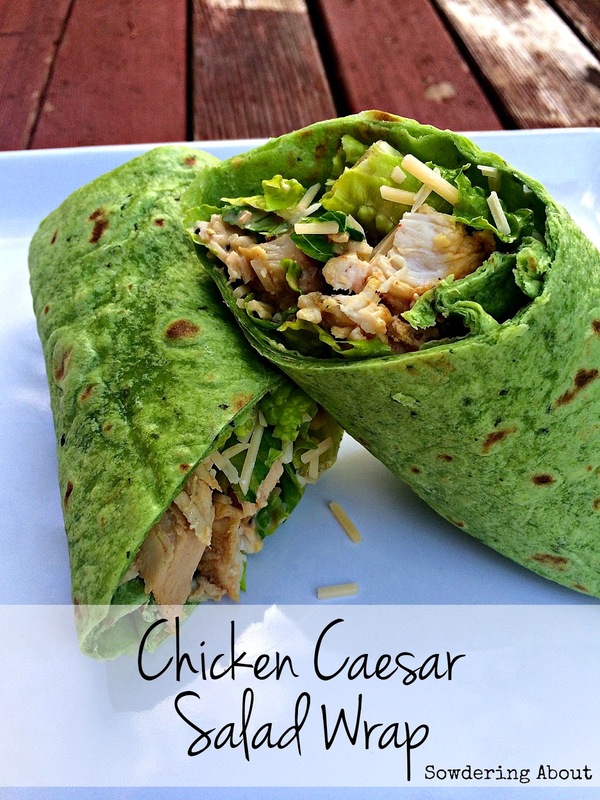 She brought us chicken caesar salad wraps and they were amazing. Naturally, all I wanted for the next two months was a chicken caesar salad wrap but never made my way to Whole Foods to buy one. But almost daily, I could imagine myself walking into Whole Foods, carefree, kidfree (my daydreams usually involve me going someplace kidfree), ordering a chicken caesar salad wrap and relishing in every bite. In my head, I would look like one of those people on some food commercial that is showing with every bite, just how heavenly the food that I am eating it. But common...I do occasionally live in reality. Instead, I ordered one with my weekly grocery order from Instacart. And it was $7. SEVEN DOLLARS. I said to heck with that and decided to just make my own. So there. I fried up my chicken in some olive oil and then covered them in my homemade seasoning mix (which I now make with all organic spices). When they were cooked, I took two forks and shredded them. Next, I laid out a tortilla, put down lettuce, some chicken, some cheese and then poured on some dressing. Folding a wrap is not as simple as you would think it is, and if it's easier for you to leave one end opened when you wrap it up, then do it. It took me a few tries to really get good at it. And then scarf! They are so freaking good! Matt loved them too and requested them for lunch all week. And I might have requested them for myself too. Maybe. U spelled Freaking wrong.......In the Tech World, it is Phreakin'........(Sorry, it's the Teacher in me).......Candy says we are going to have Phreakin' Wraps as soon as we get to the grocery store......We don't have Drones that shop like U do! 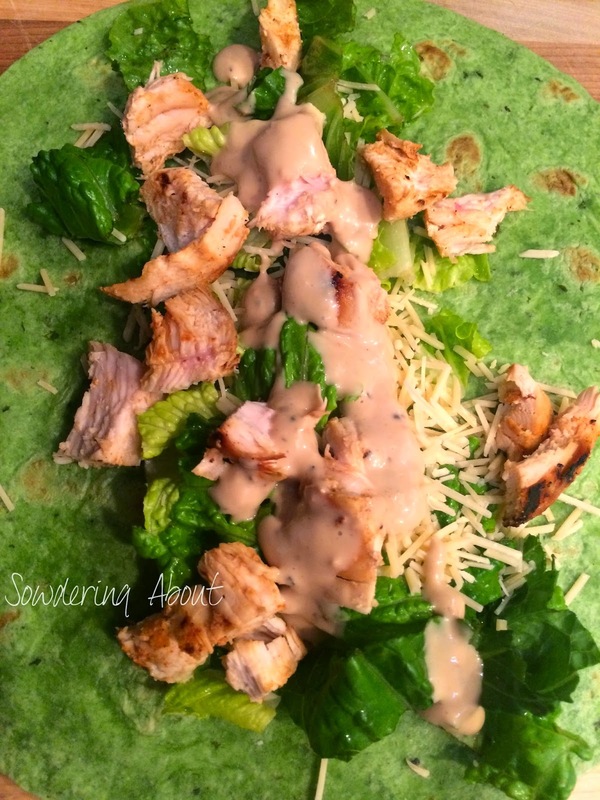 My son made Chicken Caesar Salad Wraps for us for Mother's Day. They are DELICIOUS! Thank you for sharing. Looks and sounds delicious. I'm terrible at making myself lunch, so I'll have to remember these! Oh, that looks so good! I will have to make these soon! Thanks!